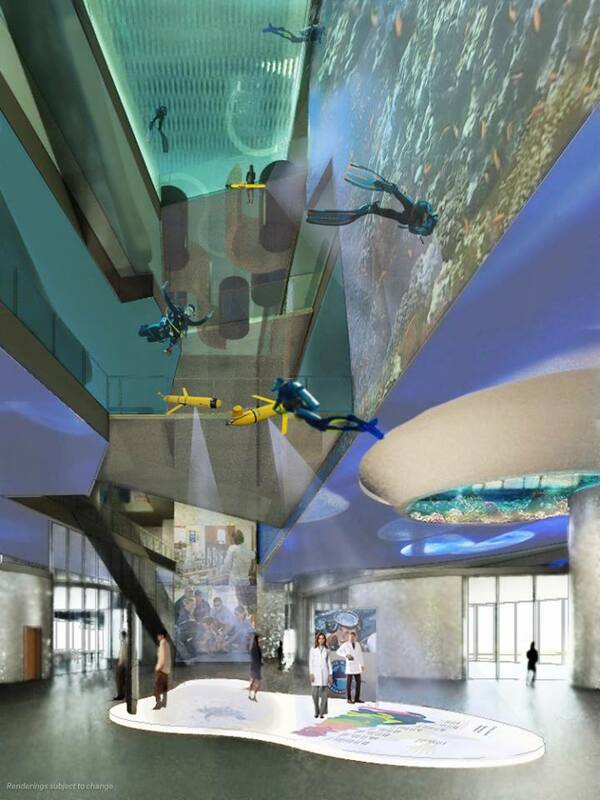 Rendering of the newly-announced Mote Science Education Aquarium, planned for mainland Sarasota County on Florida’s Gulf Coast. 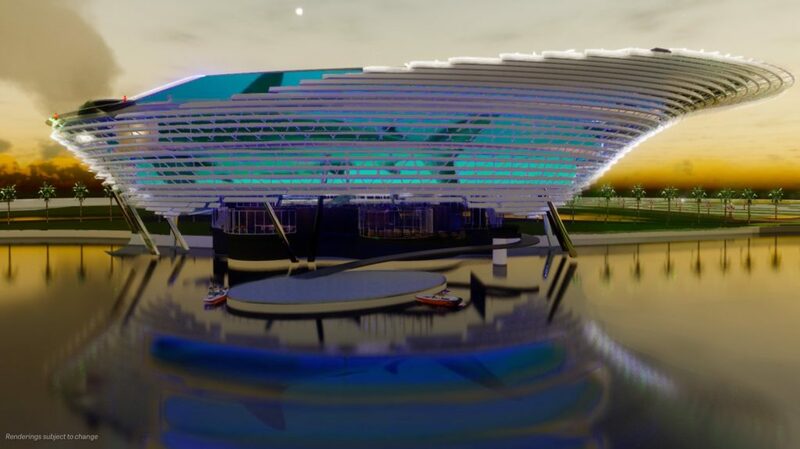 The spectacular architecture has been likened to sleek boat hull or a futuristic starship. 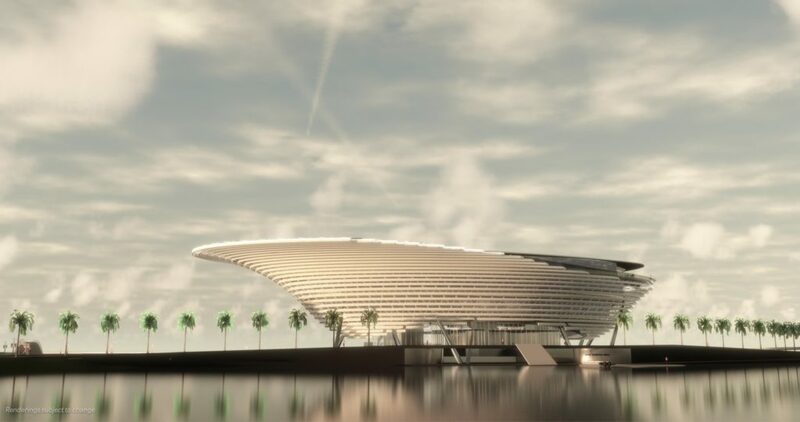 The catshark is out of the bag: Mote plans to build a spectacular new marine education center and million-gallon public aquarium on mainland Sarasota County, with construction planned to start in 2019. 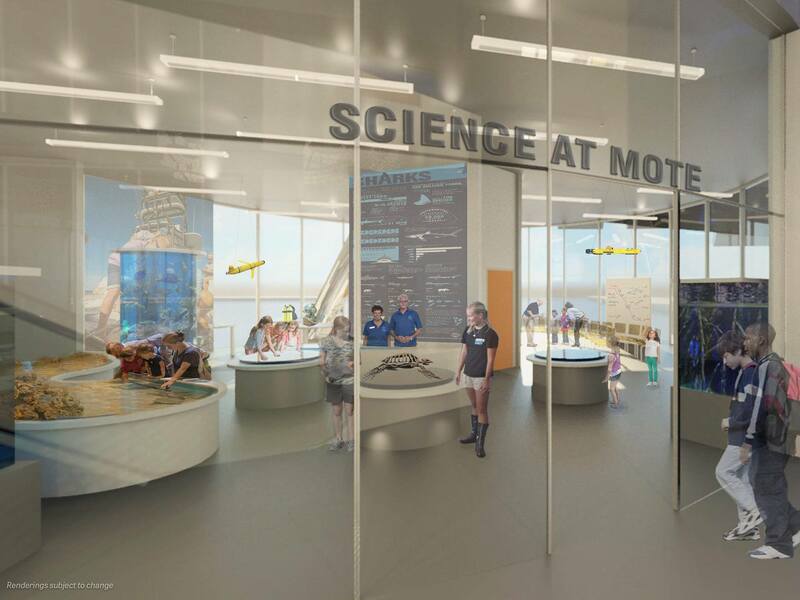 Mote President & CEO Dr. Michael Crosby announced plans for the new Mote Science Education Aquarium, which will share ocean literacy with a much greater cross-section of residents and visitors. Mote leaders are in preliminary discussions to secure approximately five acres of county land within Nathan Benderson Park, in a hotspot of community growth adjacent to Interstate 75. 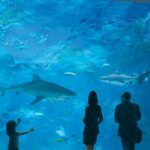 This will more than double the size of the current Mote Aquarium, with 110,000 square feet of space and one million gallons of exhibit water. It will also double participation in Mote’s award-winning informal science education programs and give all schools in the region no-cost opportunities to utilize specialized teaching labs. 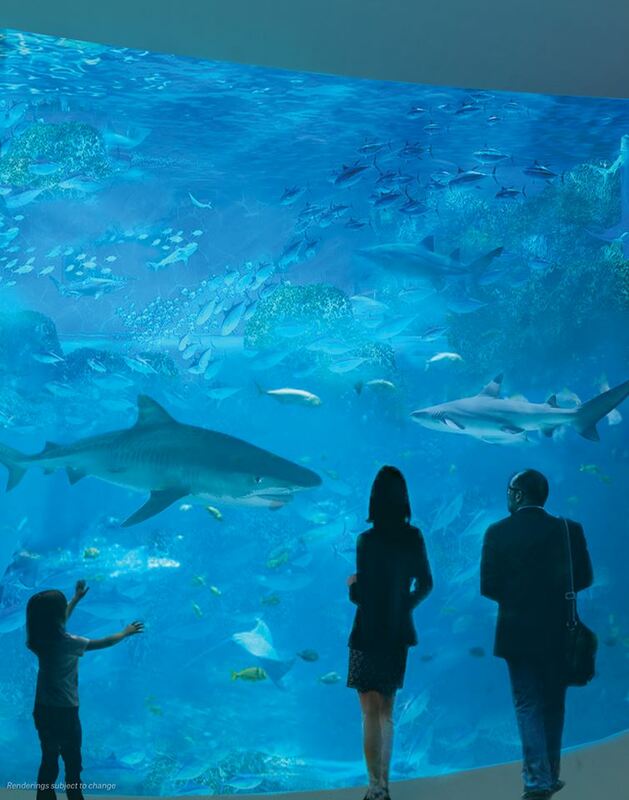 Interior renderings of the proposed new aquarium. With the Aquarium’s rebirth on the mainland, the Laboratory will stay on City Island and begin its next stage of evolution to become an enhanced International Marine Science, Technology & Innovation Park. 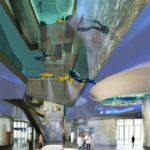 Powering the Aquarium’s rebirth is Mote’s new $130-million capital construction fundraising effort, Oceans for All: Improving Access to Marine Science & Technology. Dusk, as envisioned falling on the planned new aquarium. 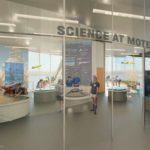 “The rebirth of Mote Aquarium on the mainland will not only help us grow our informal science education and outreach programs and develop a more ocean-literate society; equally important, it will lead to the next step in the evolution of our City Island campus into an enhanced International Marine Science, Technology and Innovation Park,” Crosby said. 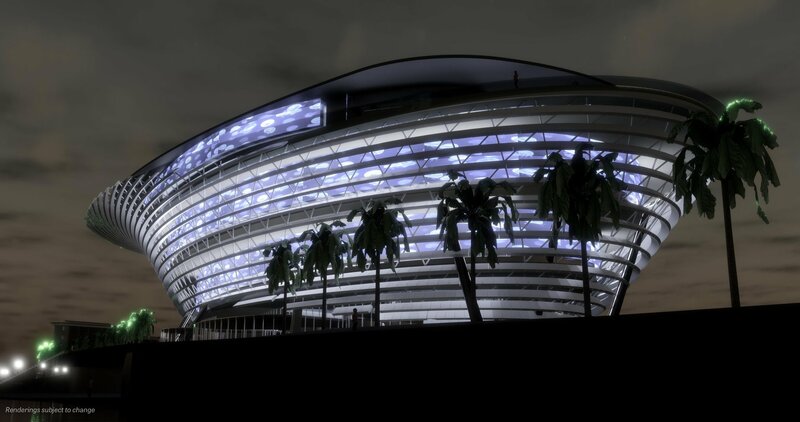 The new facility, as envisioned at night.